Additional installation & activation fees apply. Mediacom internet uses powerful DOCSIS 3.1 technology. This makes your internet faster and more reliable as compared to traditional DSL connectivity. Mediacom internet service also includes FREE internet security software so you can surf without any worries. Get the speed and features your home needs with Mediacom internet packages. Connect all your devices to your home network with Mediacom’s powerful WiFi. Stream, surf, and share wirelessly from any room in your house. You can enjoy instant access to your high-speed Mediacom internet connection from any device you want. Choose Mediacom for a truly connected internet experience. Surf safely and securely with the protection of Total Defense™ Internet Security Suite. Keep your devices free of viruses, spyware, and other malware threats with this advanced software. Total Defense™ Internet Security Suite from Mediacom internet offers complete peace of mind to customers. The online world has a multitude of threats, sign up for Mediacom internet to experience total protection. 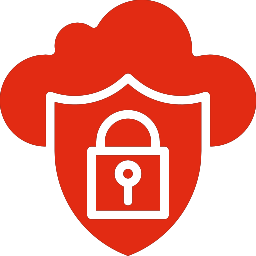 Cloud Based Protection Cloud-based scanning provides an added layer of security. Anti-Phishing Protect your identity and personal information from phishing attacks. Social Network Defender Get alerts for potentially dangerous and dangerous social media links. Ransomware Protection Stop malicious applications from running on your device. Real-Time Monitoring Get system activity updates in a detailed monthly report. Identity Theft Protection Identity details are encrypted and stored in a secure vault that only you can access. Download Defender Scan downloaded files and validate source websites. Privacy Guard Minimize your digital footprint by protecting your data. Anti-Malware Protect your PC/smartphones from viruses, adware, spyware, and other malicious software. Auto-Updates Download new product versions/upgrades for free. Combine Mediacom internet with cable tv and enjoy a fully-integrated entertainment environment with Xtream bundles. Get access to amazing features such as TVEverywhere, Intelligent Search, and more! Visit the Mediacom cable TV page to learn more. Bundle your Mediacom internet service with Mediacom cable TV to get more savings. You’ll get a better deal plus the added convenience of just one monthly bill for two services. Want to save even more? Include Mediacom phone services and sign up for one of the triple play bundles. Call now to learn more about Mediacom bundle offers.